Daylight saving time often wreaks havoc on our systems. Just a one-hour change to the clock can mess with the body’s circadian rhythm, which regulate appetite, metabolism, body temperature and even stress levels. 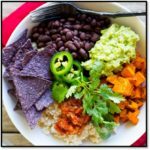 To help your body stay on track and adapt to this seasonal time change, check out these gluten-free sleep aids to see if one is right for you. Tart cherry juice is not only great for your immune system and muscle recovery but can help with trouble sleeping as well. 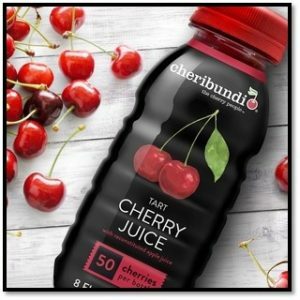 The tart cherries used to make this versatile juice from Cheribundi — the cherry people™ — contain naturally occurring melatonin, which is Mother Nature’s key ingredient for a good night’s sleep. Who doesn’t love a warm cup of tea before bed? 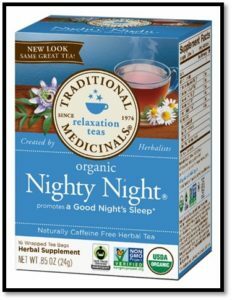 The key ingredient of Traditional Medicinals’ Nighty Night tea blend is passionflower, which is said to soothe the nervous system and help promote sleep. That, accompanied with other relaxing herbs such as chamomile, linden flowers and hops, is sure to lull you off to bed. 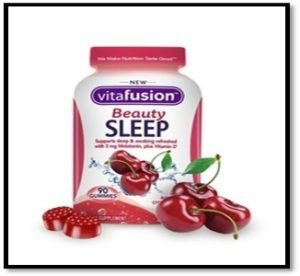 These sugar-free gummies from Vitafusion not only taste scrumptious, but one serving delivers 3 milligrams of melatonin to help support sleep, as well as 400 IU of vitamin D to assist bone, tooth, muscle and immune health. Infused with natural cherry and vanilla flavors, these Beauty Sleep gummies make it easy to get a good night’s rest the healthy way. Don’t let the fewer hours of darkness mess with your sleep routine. 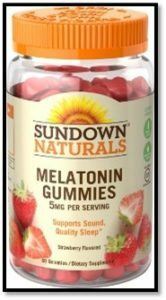 Get back on track with these tasty melatonin gummies from Sundown Naturals, which can help you achieve those much-needed zzz’s. And after a restful night’s sleep, what’s better than a delicious breakfast? 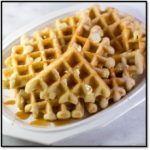 For those mornings when you have the energy, time and motivation to whip up a homemade meal, check out all of our delicious gluten-free breakfast recipes!